Billy Slater and Cameron Smith feared the 2010 salary cap scandal would spell the end of the Melbourne Storm. CAMERON Smith and Billy Slater sat on a park bench outside the Melbourne Storm team room and pondered whether this was the end. It was April 2010 and the Storm had just been stripped of two premierships, three minor premierships and told that they could not accrue any competition points in a season that had only just begun. The salary cap breaches that rocked the game to its core implicated some of the biggest names in the game and made many question whether an NRL team in Melbourne could survive the scandal. Including two of the club's very best players. 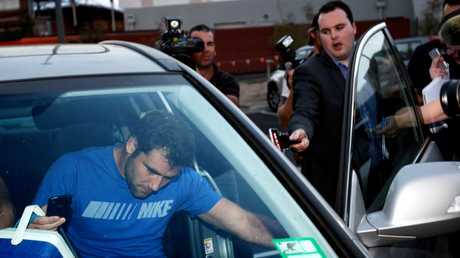 Cameron Smith escapes to his car as a story that featured worldwide breaks at the Melbourne Storm. "It was devastating, obviously. I took it pretty hard," Smith said on Sunday Night with Matty Johns. "Taking the premierships away and just knowing how hard we had to work for those premierships. "Turn up to training, 'Bellyache' (Storm coach Craig Bellamy) flogging us every day, going through the pre-season. "There was a lot of uncertainty once we heard the news. "I remember sitting on a park bench just outside our meeting room with Billy Slater. "We had a conversation about, 'Is the Melbourne Storm, is it over? Is it going to be wiped from the competition? Are we going to be playing this year or are we going to be divvied up into other NRL clubs? What's going to happen?'" In time players would be forced to leave but in the immediate aftermath of the scandal breaking - news that made the pages of the New York Times and London's biggest newspapers - the club and community came together in a show of solidarity. Storm players presented a united front behind coach Craig Bellamy in the wake of the 2010 salary cap scandal. Players famously followed Bellamy en masse into a press conference as a sign that they would remain united, Smith crediting two unlikely figures for focusing the rest of the squad in such difficult times. Brett Finch and Todd Lowrie were a part of the Parramatta Eels team defeated by the Storm in the 2009 grand final but it was their response to the salary cap breaches that helped the team to move forward. "Two blokes who were fantastic that year were 'Finchy' and Todd Lowrie," Smith said. "They'd come from Parramatta - who we'd beat in the grand final the previous year. "I remember the first game and it was against the Warriors and it was an Anzac Day game and Todd Lowrie stood up in a team meeting that week and he said to everyone, 'Look fellas, I come from Parra where you beat us in the grand final last year and I just want to say that I reckon you blokes work the hardest of anyone, you deserve to keep it, let's just get on with this year.'" 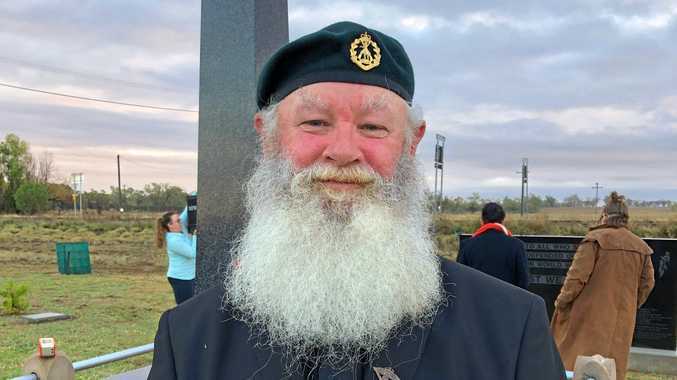 Fuelled by hatred for the punishments they had been issued, the Storm's immediate response was a savage 40-6 thumping of the Warriors on Anzac Day but it was a source of motivation that could not be sustained. Despite having no points to play for, Melbourne won four of their first five games after the salary cap punishments were handed down but lost five of their next six as the week-to-week grind took its toll. "We hit a real wall the game against Brisbane, the first game back at AAMI Park," Finch recalled. "The playing was easy, it was the turning up Monday to Friday. "You still had to prepare. You couldn't not prepare for a game of footy. "You can't shortcut preparation for an NRL game, it's just too hard on the weekend. "So to actually go through the Monday to Friday was just too hard. "Mentally it wore you down." premium_icon Where has it all gone wrong for Cowboys?